Welcome! Let’s introduce you to the team at Crank Mechanical. Josh is originally from a farm west of Nyngan, where his love for mechanical repairs and fabrication started. He came to Dubbo to do his Heavy Vehicle trade at Gough & Gilmore, Caterpillar dealership. 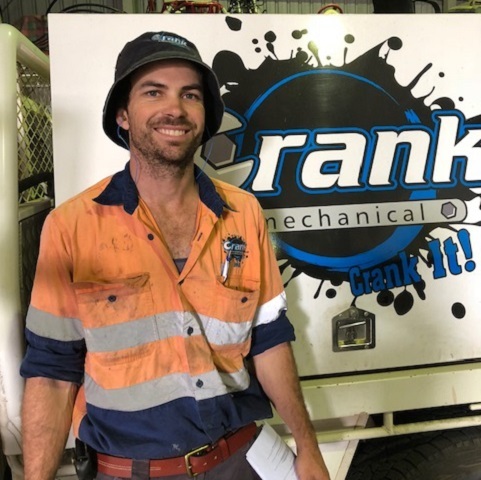 When Gough & Gilmore closed their doors in Dubbo there was a void in mobile mechanics to service heavy diesel and earth moving equipment, so Josh started Crank Mechanical in 2007. He had a loyal customer base from his previous work and therefore continued to repair, fabricate parts and service their farm machinery, railroad equipment and vehicles, trucks and earth moving machinery. Josh also contracted to MasterFoods in Bathurst for an 18 month period doing break-down maintenance and fabrication work. Josh, through Crank Mechanical, has continued to provide friendly, efficient, timely and flexible mobile and workshop services for his growing business. 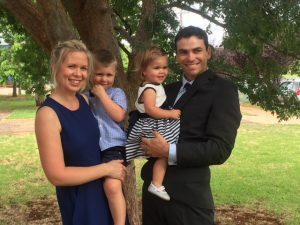 This family business enables Josh to teach and train work-ethic, honesty, diligence, precision and pride in a job well done, to younger workers, also passing down his knowledge and skills to his children and the next generation. Steve joined Crank Mechanical in early 2018. Steve had commenced his apprenticeship with Hi-Torque and TracServ and worked for different companies in the industry before returning to complete his trade at Crank Mechanical. Steve is a capable and patient worker, willing to find solutions and make sure the job is completed correctly. His dedication, teachable nature, industry experience and initiative makes him a valuable asset to the Crank team.